River’s Edge Treehouse Resort announces it has been recognized as a winner in the 25 Top Hotels for Romance – United States category of the 2016 TripAdvisor Travelers’ Choice™ awards for Hotels. We truly have the best guests in the world! River’s Edge Treehouse Resort today announced it has been recognized as a winner in the 25 Top Hotels for Romance – United States category of the 2016 TripAdvisor Travelers’ Choice™ awards for Hotels. For the 14th year, TripAdvisor has highlighted the world’s top properties based on the millions of reviews and opinions collected in a single year from travelers around the globe. Winners were identified in the categories of Top Hotels, Bargain, B&Bs and Inns, Luxury, Service and Small Hotels. The hallmarks of Travelers’ Choice winners are remarkable service, quality and value. To see TripAdvisor traveler reviews and opinions of River’s Edge Treehouse Resort Travelers can also follow the conversation on Twitter at #travelerschoice and #riversedgetreehouse. This unique mountain hideaway offers comfort and style in an outdoor, “back to nature” setting. 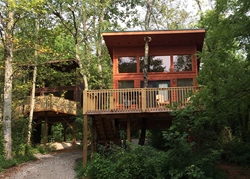 Located on the Cheoah River near Robbinsville, North Carolina, River’s Edge Treehouse Resort is surrounded in all directions by scenery that would make a professional photographer envious. The six treehouses provide parking underneath, king memory foam beds, satellite TV, complimentary continental breakfast, and much more. One of our treehouses is handicap accessible. Visit us http://www.riversedgetreehouses.com. 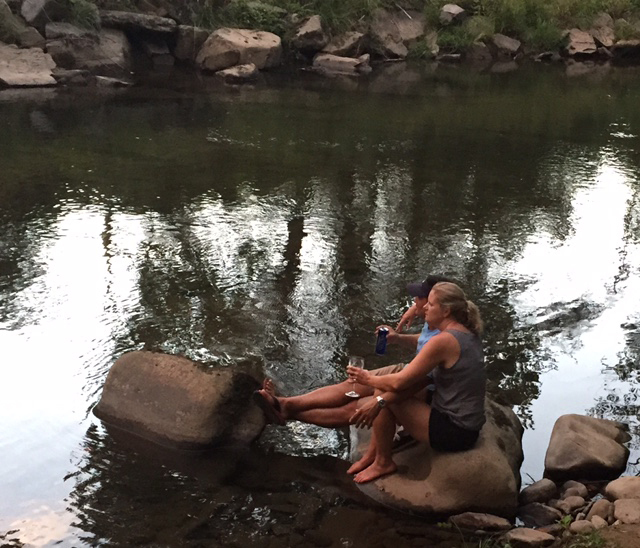 Connect with us at https://www.facebook.com/riversedgetreehouse. TripAdvisor® is the world's largest travel site*, enabling travelers to plan and book the perfect trip. TripAdvisor offers advice from millions of travelers and a wide variety of travel choices and planning features with seamless links to booking tools that check hundreds of websites to find the best hotel prices. TripAdvisor branded sites make up the largest travel community in the world, reaching 350 million unique monthly visitors**, and more than 290 million reviews and opinions covering 5.3 million accommodations, restaurants and attractions. The sites operate in 47 countries worldwide. TripAdvisor, Inc. manages and operates websites under 23 other travel media brands.